Travel Destination Romania: land of the Dracula myth; home to the mysterious Transylvania region, where vampires are said to appear from fog-covered castles set high in the desolate mountains towering above rural villages. There are few places in the world as mesmerizing and charming as this beautiful European country. The enchanting landscape is spotted with picturesque windmills, articulate monasteries, and ornate churches, all perched in an untamed, mountainous terrain that rolls across Eastern Europe. In May of 2007, I embarked on this Romanian student travel journey with eight of my peers from the University of South Carolina. We would be participating in a three-week English Immersion Camp with five high schools in Cluj-Napoca, Romania, teaching a variety of business and cultural courses. After 35 hours of traveling, we finally landed in Cluj’s humble airport, nestled in the foothills of the Carpathian Mountains. We loaded into a cramped Renault mini-van and pulled onto the crowded city streets. We were passed by dozens of miniature vehicles, zipping between lanes and around corners. To my surprise, we also shared the road with men inching along on horse-drawn carriages. Modern day innovations exist harmoniously with Old World ways of life. It was absolutely fascinating. As I would soon discover, the country’s splendor is both amplified and haunted by the remnants of a fierce era of communism. Under communist control for more than 40 years, the cinder-block buildings still fill Romanian cities, but the preservation of Moldavian and Gothic architectural styles give the country a timeless feel. Over the next few weeks, I became engrossed with the Romanian culture. The students, who were incredibly warm and generous, welcomed us with open arms. Their enthusiasm, both in and out of the classroom, demonstrated their passion for academics and life. With flawless English grammar and speaking skills, I soon learned that there would be little about this modest country that didn’t impress me. Romania is not for the timid student traveler. The people are extraordinarily hospitable, but the tourism industry is underdeveloped; once you’re out of the larger cities such as Cluj-Napoca, Bucharest, Sibiu, and Brasov, you’re in for an adventurous journey into the past. In some spots, modern day luxuries such as indoor plumbing and air conditioning are non-existent. So, if you’re feeling courageous and willing to temporarily part ways with common amenities, a rewarding and eye-opening experience is soon to follow. Now, what about this Dracula stigma? Did such a person ever exist or was he simply a fictional character of Bram Stoker’s famous 1897 novel? In short, yes, he existed. However, the vampire notion is entirely fictional. Stoker’s inspiration for the Count Dracula character came from Vlad Dracul, a fifteenth century Romanian prince known for his exceedingly cruel punishments imposed during his reign. The most famous of these punishments was impalement, which earned Vlad the nickname „the Impaler.” Unfortunately, Vlad the Impaler’s original castle is nothing but a pile of rubble. However, Dracula’s „unofficial” castle can be found in the town of Bran, about 20 miles south of Brasov. Bran Castle’s towering white walls, red-hued shingles, and threatening towers combine for a truly breathtaking site. The mystery and folklore surrounding Vlad Dracul’s involvement in the castle’s history add a sense of intrigue that will leave you hanging on the tour guide’s every word. You’ll climb through secret passageways, hear tales of violent battles and brutal impalement, and stand atop soaring turrets. Romania’s most famous fictional citizen, Dracula, has certainly become a key promotional tool for the Romanian tourism industry. Even with the fallacy surrounding the Dracula myth, Romania’s tourism industry would be foolish not to use the legend of Dracula to attract visitors. Times have changed. Communism is dead, the borders have been opened, and Romania is now a member of the European Union. So why should you visit Romania? The best answer is because it is one of the most beautiful countries in Eastern Europe, and its charm and mystique will leave you awestruck. During the two weeks I spent in this country as a student teacher, I learned much more than I taught. I was greeted with warmth and generosity wherever I went, and I strongly encourage anyone with a passion for student travel not to leave Romania off their list. 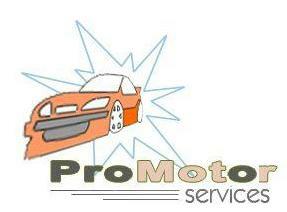 If you need to rent a car when arrive in Romania fallow this link Promotor Rent A Car.